Greetings! Have you guys been watching the Olympics? I am loving them this year! Especially figure skating and snowboarding. There have been so many incredible athletes. What’s your favorite Olympic event to watch? In the Winter Olympics, I love to watch figure skating – it’s my favorite! The new team skating event was really fun to watch, even though Russia pretty much dominated that (Yulia Lipnitskaya, anyone? Amazing!). I also enjoy any snowboarding or skiing event involving cool jumps and tricks. In the Summer Olympics, gymnastics is definitely my favorite. It’s so fun to watch! I have a tasty recipe for you today that I made for dinner tonight and it succeeded brilliantly in brightening up my Wednesday! 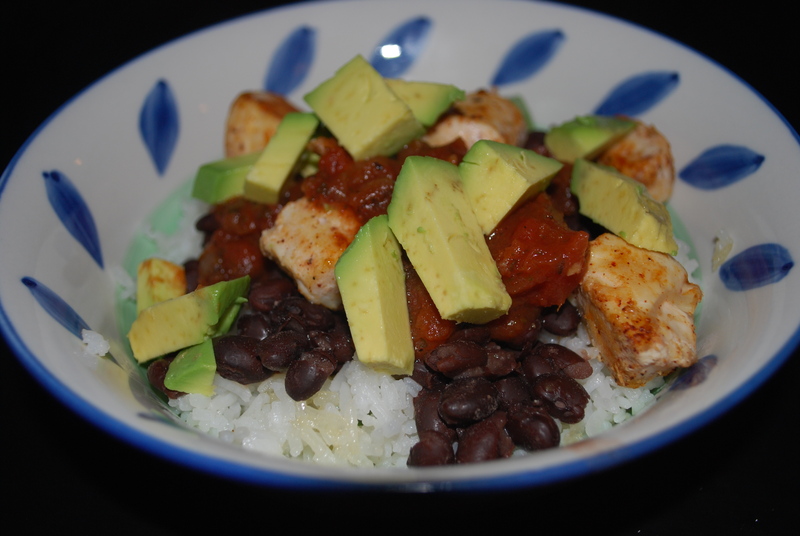 Easy Burrito Bowls. 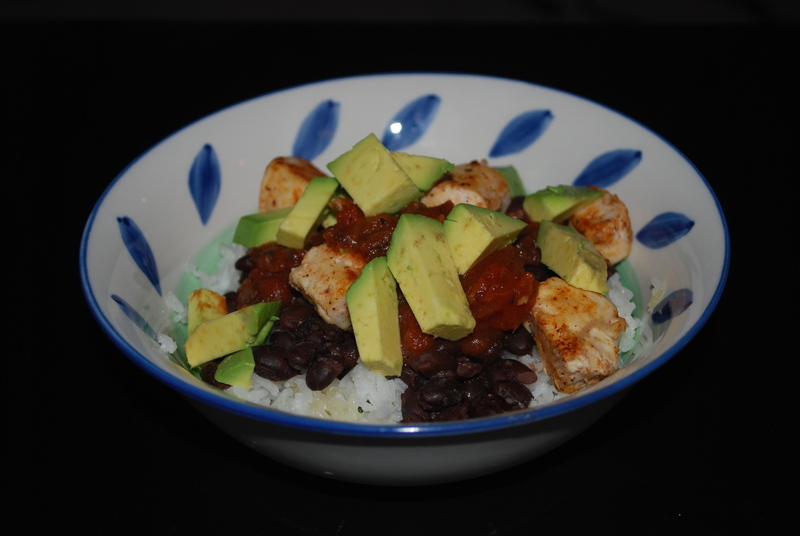 Skip the trip to Chipotle or Qdoba and make your own burrito bowls at home. 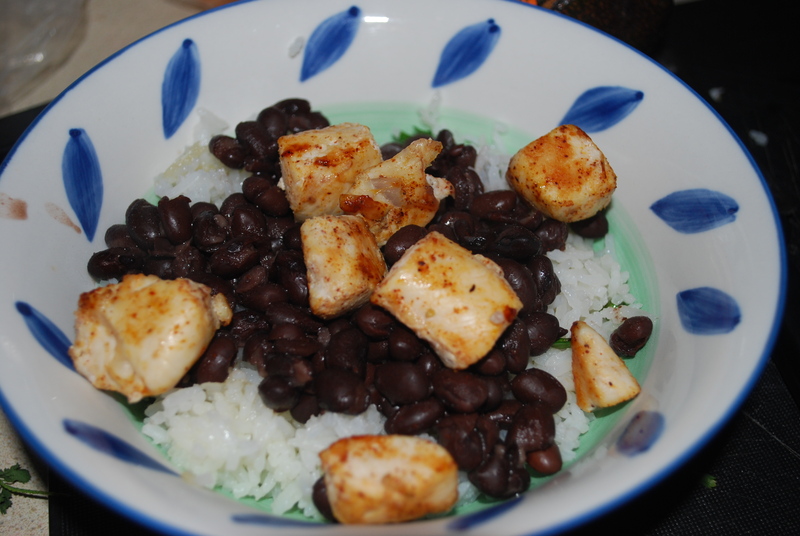 They’re simple, delicious, and extremely customizable. 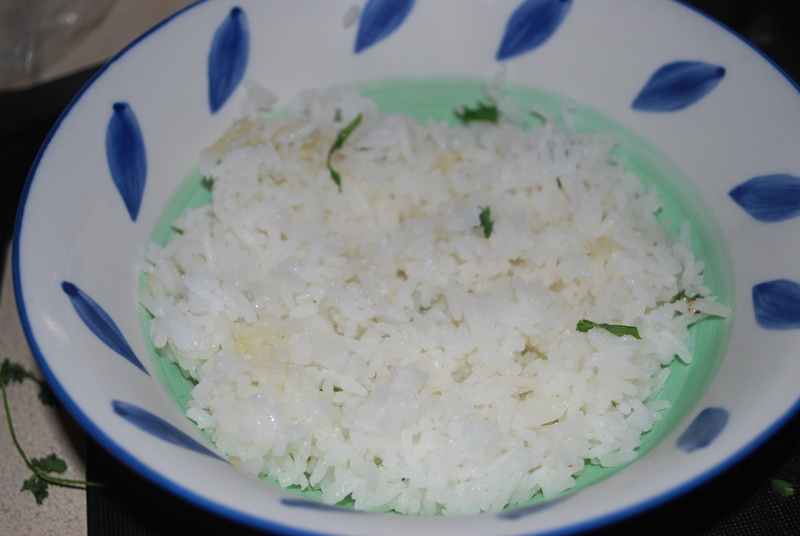 Begin with the rice. 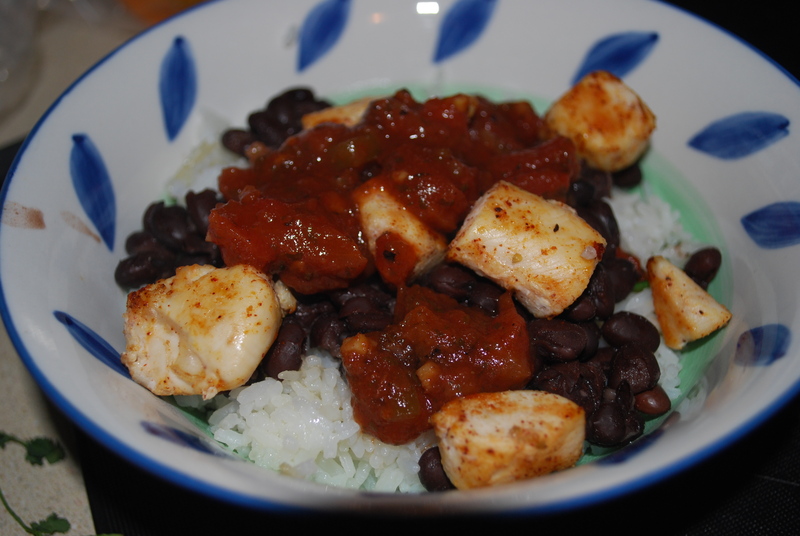 Cook 1 cup of the rice of your choice (brown, white, it’s up to you). When it’s cooked, add in 1 tablespoon butter, the juice from 1/2 a lime, a handful of chopped fresh cilantro, and sprinkle with salt. 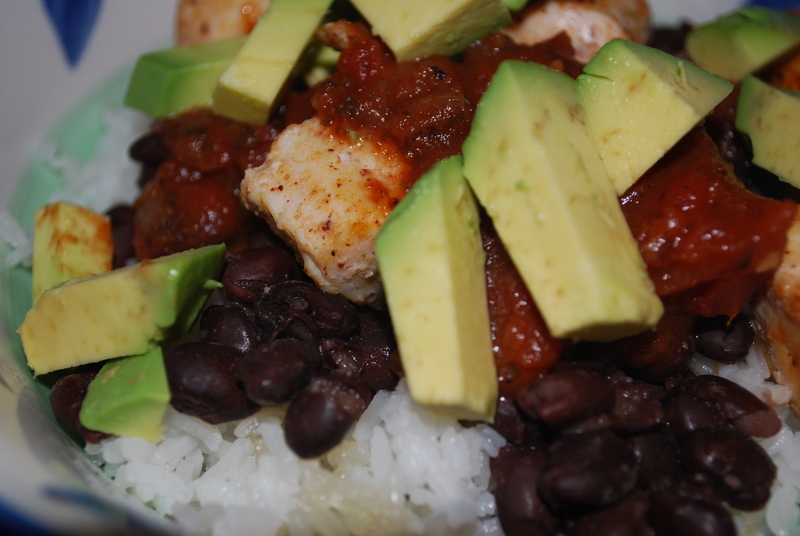 While the rice is cooking, you can start on the chicken. Thaw 2 chicken breasts and cut into 1 inch pieces. Season with cumin, oregano, chili powder, onion powder, garlic powder, cayenne pepper, and salt. Saute in a buttered/non-stick sprayed skillet at medium high heat until cooked through. 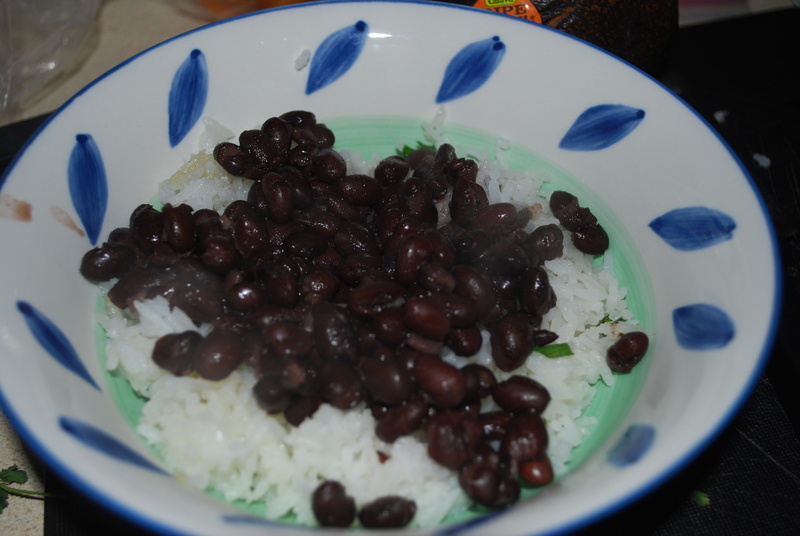 Meanwhile, while both the rice and chicken are finishing up, prepare the beans. 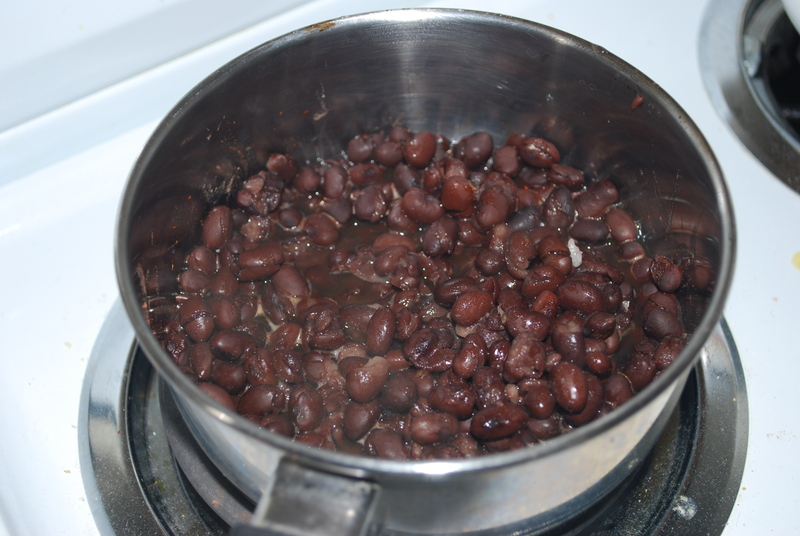 Take 1 can of black beans and drain and rinse them. Heat beans in a sauce pan on low heat with a little bit of water and season with oregano, cayenne pepper, chili powder, and cumin. 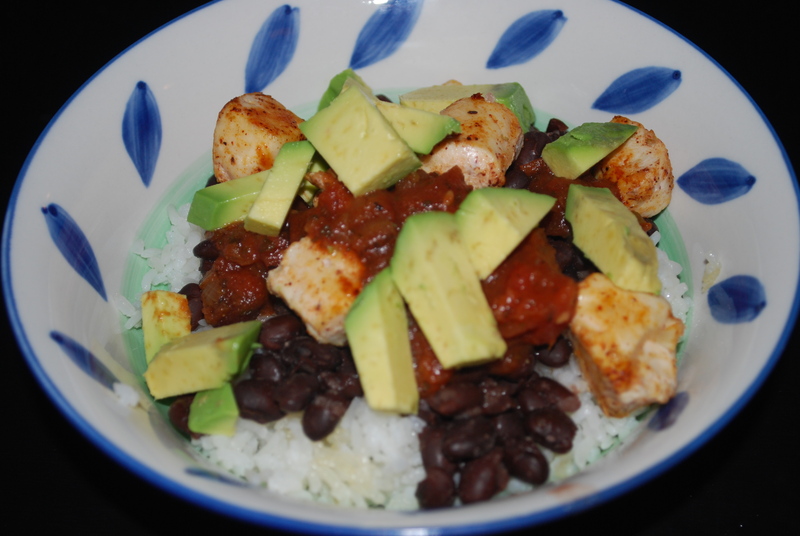 add avocado, guacamole, cheese, or other toppings of your choice. Now eat and enjoy! 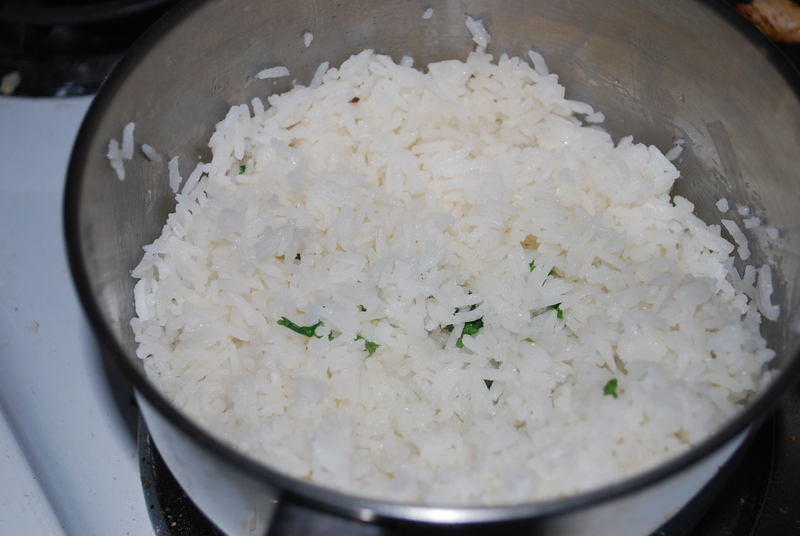 Rice: Cook 1 cup of the rice of your choice. When it’s cooked, add in 1 tablespoon butter, the juice from 1/2 a lime, a handful of chopped fresh cilantro, and sprinkle with salt. 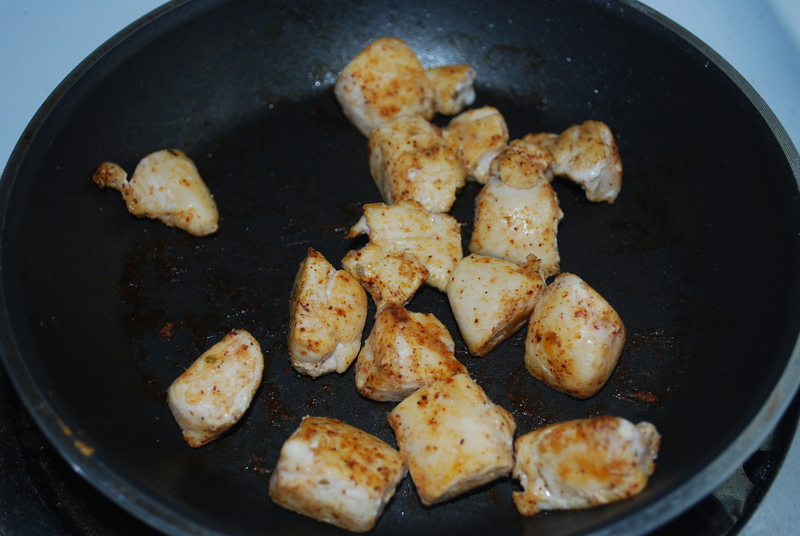 Chicken: Season with cumin, oregano, chili powder, onion powder, garlic powder, cayenne pepper, and salt. Saute in a buttered/non-stick sprayed skillet at medium high heat until cooked through. Beans: Heat beans in a sauce pan on low heat with a little bit of water and season with oregano, cayenne pepper, chili powder, and cumin. 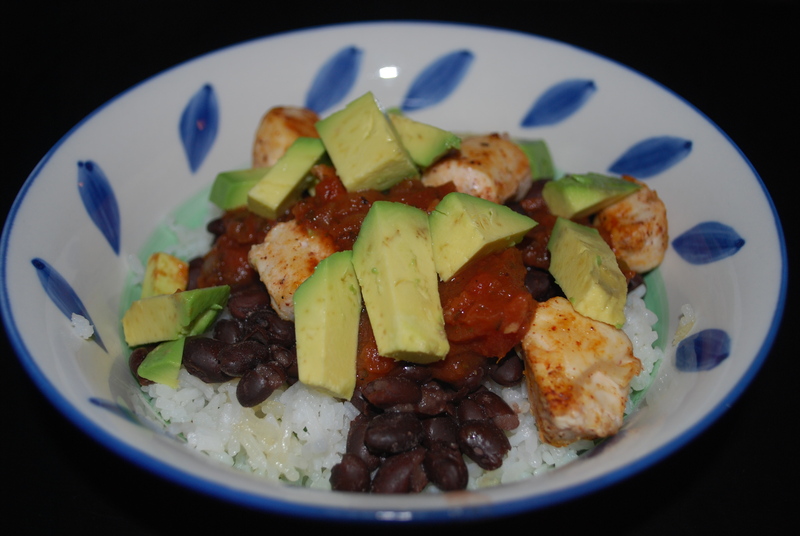 Top with salsa, avocado, guacamole or other toppings. 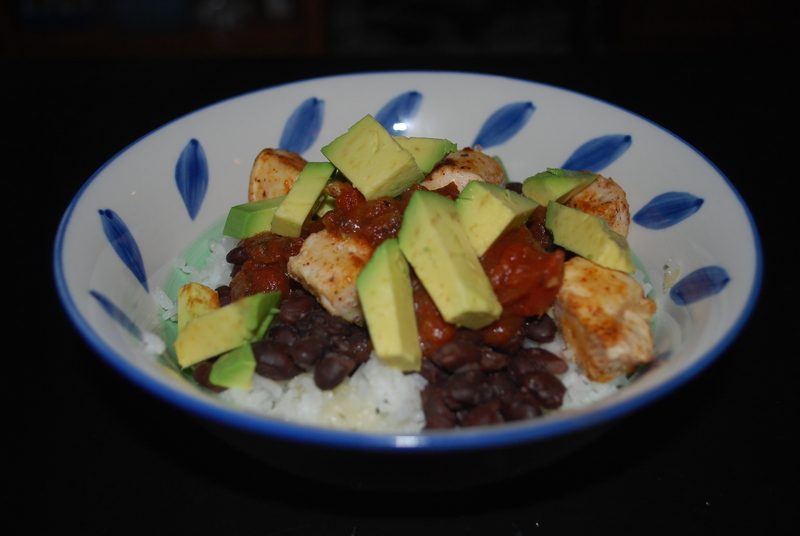 This entry was posted in Dinner, Healthy, Lunch and tagged beans, burrito bowl, chicken, easy, Mexican, rice. Bookmark the permalink.